We will match any local competitor's advertised or every-day price, on comparable tires from a like brand dealer at the time of purchase. Excludes closeout, clearance and catalog prices. Some tire brands may be excluded. See dealer for details. when you spend $30 or more! Shop while you wait for your vehicle to be serviced in our Parts Boutique for shirts, hats, water bottles, key covers, car decals, and more! 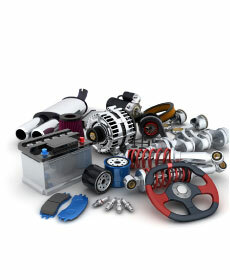 Must present coupon when order is written at Gillman Honda Houston. Valid on Parts Boutique retail items only. Does not apply to regular parts purchase. Shop supplies and admin fee additional. Not valid with any other offer. Not valid on Estore purchases. See dealer for details. Retail purchases only. Must present coupon when order is written at Gillman Honda South. Shop supplies and admin fee additional. Cannot be used with any other offer. See dealer for details. Retail purchases only. Must present coupon when order is written at Gillman Honda South only. Shop supplies and admin fee additional. Cannot be used with any other offer. See dealer for details. Retail purchases only.